Are you looking for some inspiration for a Valentine’s Day Gift for your loved one? If your partner loves their home, maybe you’ll love some of these ideas that I’ve been trying out recently. Candles are always a big hit with me, whether at Valentines or not, and this one is perfect. If you’re a Yankee Candle fan like me, this lovely sweet, Pink Grapefruit scent will be just spot on for the romantic in you. As you can imagine from the name, it has a zesty, citrus fragrance but isn’t overpowering. My daughter said this was perfect for the bathroom, as it was such a relaxing smell. I couldn’t agree more. 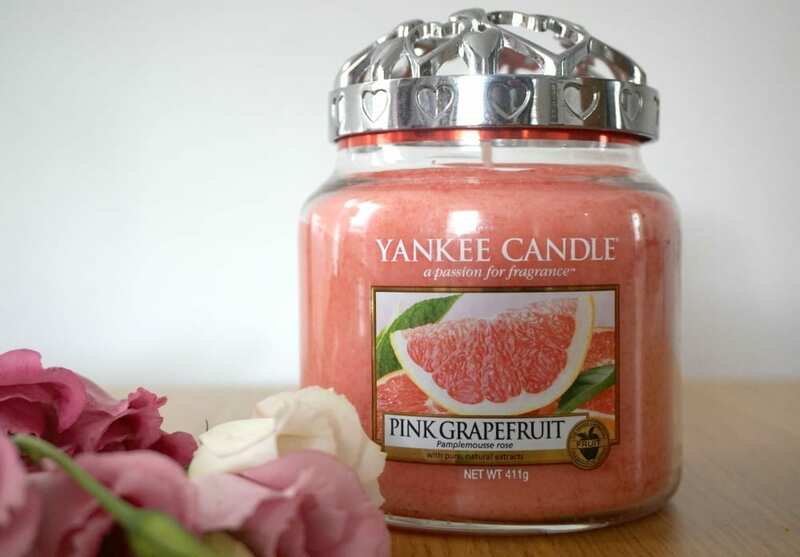 The large Pink Grapefruit Yankee Candle is available for £19.99 here. Cushions are like handbags and shoes; you can never have too many right? So, they’d make a lovely gift for your Valentine. I’m quite taken with the delightful designs from Andy Hau’s latest collection, which depict the adventures of a quirky fox called Harlequin, or Quinn. 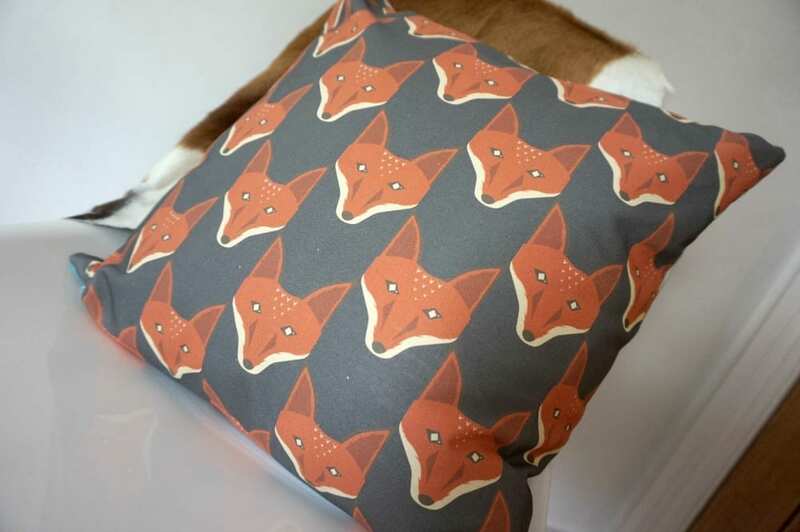 The designs are very on trend, and ideal for any home, plus the quality is fabulous. I don’t think I’ve felt such a firm, plump cushion at this price range before. This one is called ‘100 Starlings Rising’ and is actually double-sided. 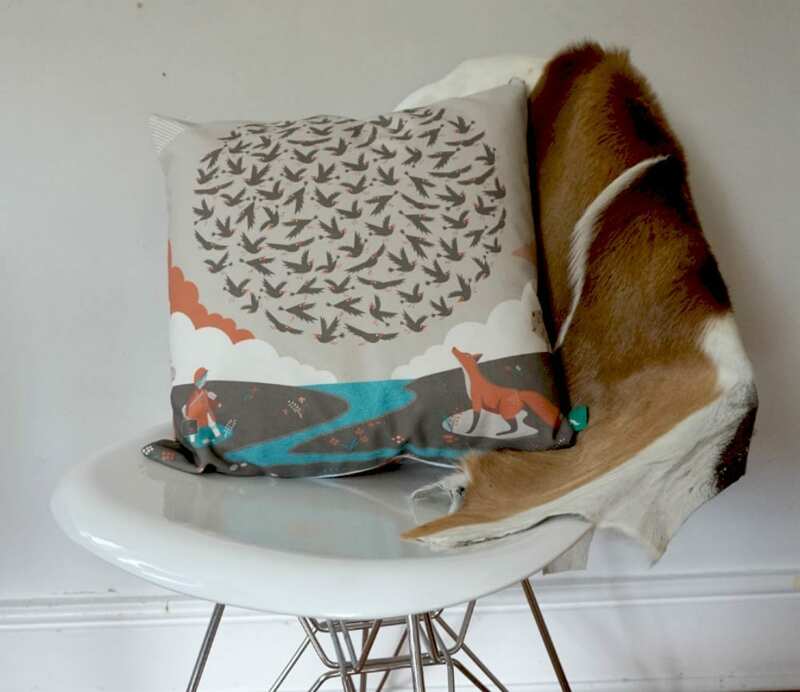 The Andy Hau cushions are available now for £30 each at NotOnTheHighStreet. Wall Art is another favourite of mine, for Valentine’s Home Gifts, and this one from Easy Art really caught my eye. 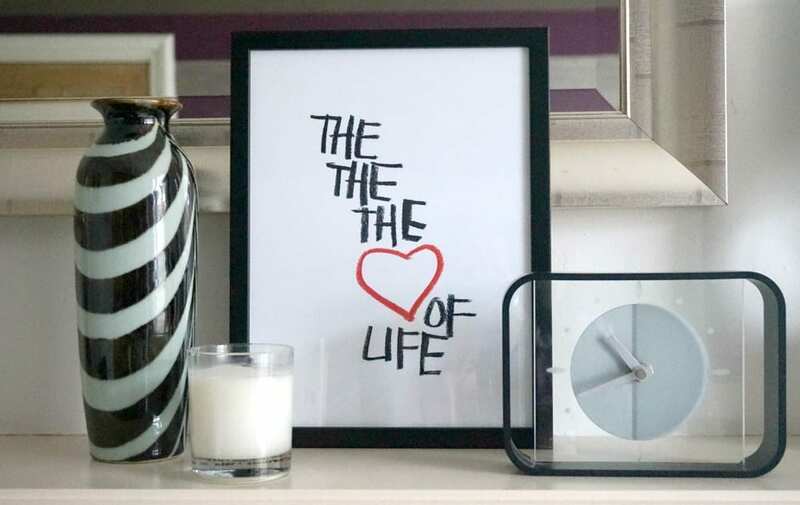 Typography art is still so popular, and the styling and sentiment of this one is very contemporary and minimal, it’s perfect for a modern gift. This one is called The Love of My Life by Stephen Anthony Davids and is available as a print for just £14.95, or you can choose to purchase it with a white or black frame for around £60. As a lover of home interiors, I would adore this as my Valentine’s gift, and I’m sure there are others out there who would too. You can find out more about this print and others on the Easy Art website here. And of course whatever you do, you’ll need to get some Valentine’s flowers. This beautiful bouquet is from AppleYard Flowers London and is called the Goddess. 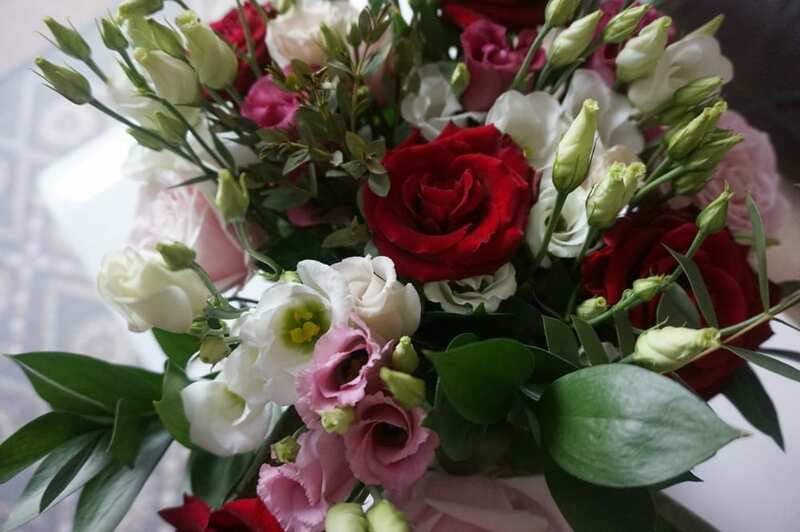 Containing scented white freesias, soft pink sweet avalanche roses, with velvet red grand prix roses and pink eustoma. It really is a beautiful sight, and smells divine. The image you see here was taken after 3 days, and it’s only really started to open up so will last a long time, which is a very good thing. I’m so disappointed when a bouquet lasts just a few days after someone has gone to the effort of buying it for me. This particular arrangement arrived beautifully packaged in a large cardboard box, and retails for £49.99. 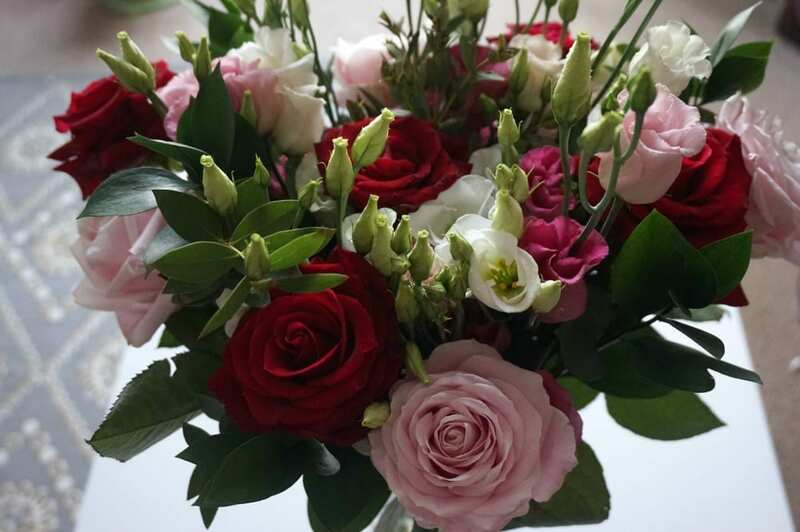 You can find out more on the AppleYard Flowers website here. I was gifted these products, but chose them specifically for the Valentines roundup, and all opinions are genuine and honest. Some lovely ideas here, I think I need to drop some big hints about those cushions! The flowers are wonderfull! Nice article! Beautiful collection of gifts for valentines…thanx for this sharing.love this idea.